Filed to: What problems?Filed to: What problems? Google’s brand new flagship phones are off to a rocky start. 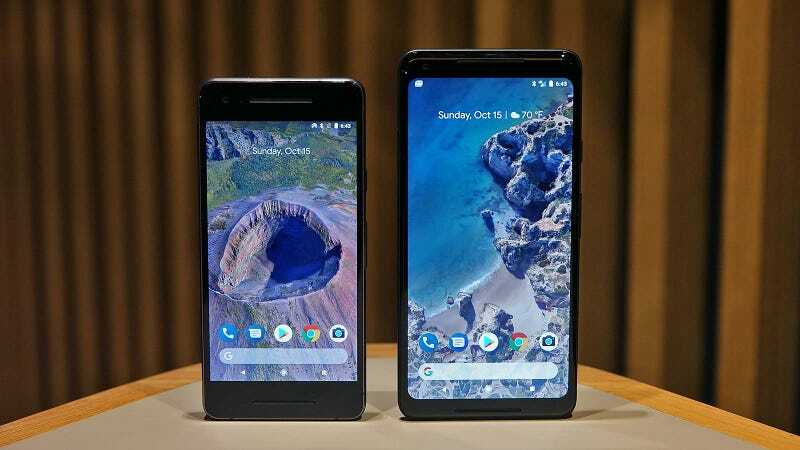 From reports of faint clicking sounds coming from the Pixel 2's earpiece to a number of issues with the Pixel 2 XL’s POLED display, it seems Google still has some room for improvement as a hardware manufacturer, even after two years. Queiroz then continued by commenting on customer complaints regarding the Pixel 2 XL’s “dull” colors, saying Google’s intention was to render more natural and accurate colors. However, he also added that Google acknowledges that a lot of people are looking for the vivid colors you see on other phones (like on displays made by Samsung), and that Google is working on a update due out in a few weeks that will include a new mode that will make colors from the Pixel 2 XL’s display look even more saturated. On the topic of burn-in on the Pixel 2 XL’s display, Queiroz said that Google’s current investigation has confirmed that the Pixel 2 XL’s screen performs similarly to OLED panels in comparable products, and that any issues should not affect the normal day-to-day experience of Pixel 2 XL owners. That said, he concluded by saying that Google will release more updates soon to further optimize or prevent burn-in or the effects of differential aging. This is the off-axis color shift people are talking about. I don’t know about you, but it seems like Google is working on a lot of updates for phones that it claims are just fine, and Google still hasn’t commented on the Pixel 2 XL’s blue tint when viewed off axis. However, extending the Pixel 2's standard warranty from one year to two is hard to complain about, and might make people feel a little bit better about the Pixel 2's big bezels or the 2 XL’s high price.